The ABDCs started with a weekday show at Caroline’s on Broadway. It sold out and that is when they decided they would do it again. After several packed out shows at Caroline’s on Broadway, the ABDCs decided it was time to take their talents on the road. After doing shows in the tri-state, they decided they would go somewhere they thought they would be well received, the deep South. The Deep South Tour was a smashing success with shows in Pittsburgh (not so south), DC, North Carolina, Georgia, and Alabama. The tour even introduced closer to the show where all four comics would take the stage along with questions, guests and hilarious riffs. After the successful Deep South tour, the ABDCs decided it was time to go back to where they were “really from” and do shows in India. 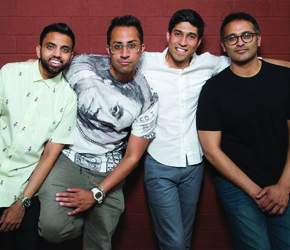 The ABDCs were met with open arms as they had FOUR SOLD OUT shows in Mumbai, India. 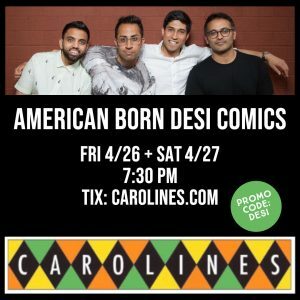 Now the American Born Desi Comics are coming back to Caroline’s on Broadway to shows on April 26-27 (both at 7:30 pm) along with special guests. 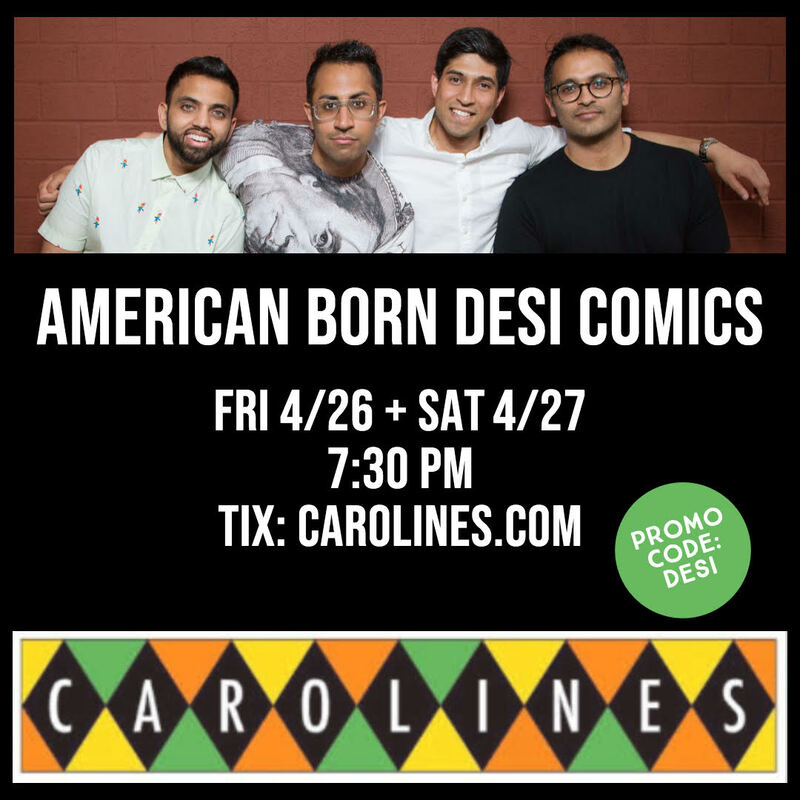 Thanks for reading Desi Comics Comedy Show at Carolines on Broadway. If you like to see an NYC Comedy Show we like to offer you a 20% discount to all NYC Comedy Clubs that are featured on our site.